Join us at the gAALaxy Labs Event! 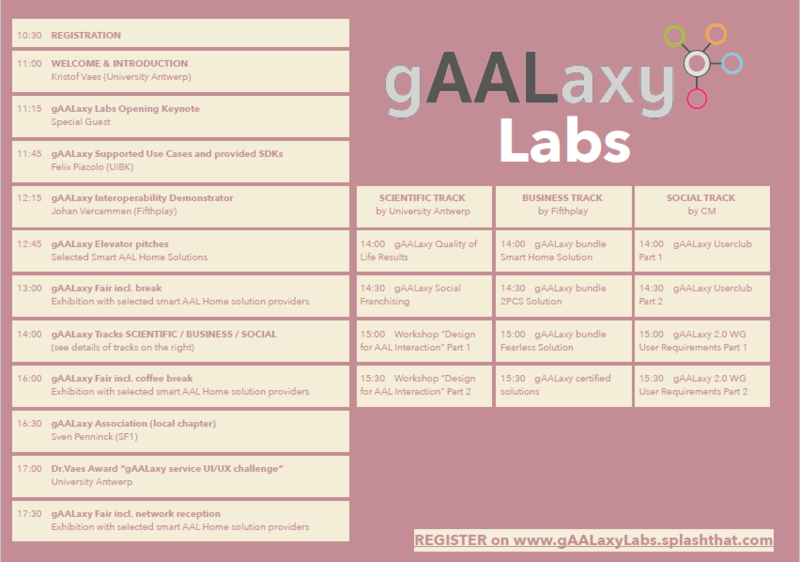 On March 25, 2019, we organize the networking event gAALaxy Labs at the University of Antwerp. The event addresses both AAL and Smart Home solution providers as well as care and support facilities interested in independent and certified AAL product bundles. Participation is free. We ask for registration on our event website.